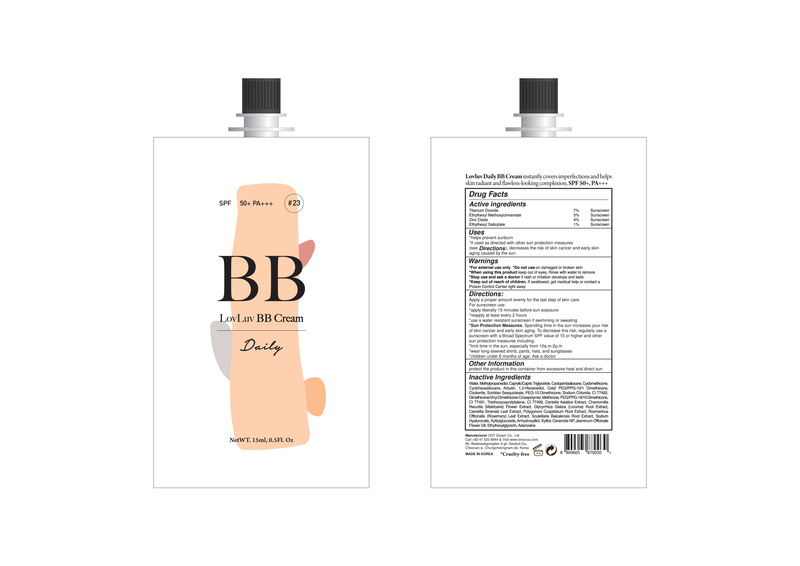 Lovluv Daily Bb Cream with NDC 71909-0030 is a a human over the counter drug product labeled by Cnt Dream Co., Ltd. The generic name of Lovluv Daily Bb Cream is titanium dioxide, ethylhexyl methoxycinnamate, zinc oxide, ethylhexyl salicylate. The product's dosage form is cream and is administered via topical form. End Marketing Date: 02-14-2020 What is the End Marketing Date?